Trump got Melania into country on an Einstein visa???? On Saturday March 10, 2018 there will be an Election Strategy Workshop in Murphys. Why are so many refusing help from government??? 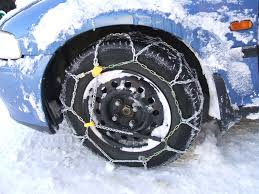 March 1, 2018 at 12:45 PM: Chains are required on all non-4 wheel drive vehicles on Hwy 4 in Arnold. The snow is expected to come down lower tonight, so don't head for the mountains without chains. March 1, 2018 at 12:30 PM: Caltrans is reportedly involved in a rear-end collision on Jenny Lind Road near Kirby Road in Jenny Lind. UPDATE: Phone lines only affected. No power. On February 28, 2018 the Calaveras Sheriff's Office arrested Joseph Riley Bigger (40) of San Andreas at the Red Brick Saloon. Bigger was booked into the Calaveras County Jail for alleged Lewd or Lasciouvous Acts with a Child, Continuous Sexual Abuse of a Child and Sexual Penetration with a Foreign Object, all felonies.